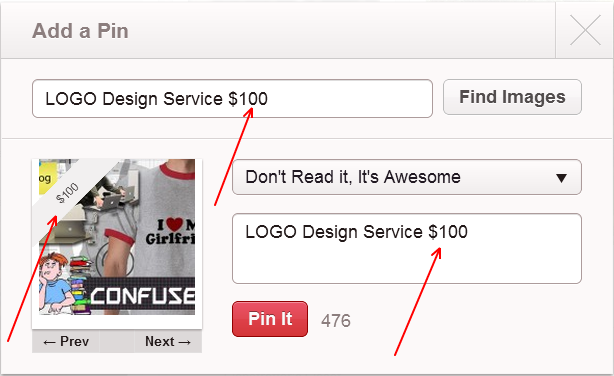 3 TIPS for Pinterest You must know:So Are You (P)interested? Yes I have been on Pinterest Since 5th Jan this year.I learnt a great 5 TIPS for Pinterest that I think you must know.I will start from the beginning and will take you through these set of tips.Someone of you might say , PINTEREST is cool , its so simple why I need to learn tips? Then I must say there is no end to thinking and using stuff in a creative way.I have some own way to think I have had been taking a great advantage from Pinterest since the day it started, I thought i must share it with my readers as I always do.So what you are going to read below are some 5 creative tips for using Pinterest.By the way you can follow me at pinterest (http://pinterest.com/mrahmadawais/) and can ask for invitation in comments if you are not already registered. Getting creative ideas from pinterest is a common thing for me , I just search for the thing and I start getting very nice images that inspire me a lot.eg some days ago I was searching for nice wedding stage ideas and other day I was searching for ideas for the party I am gona throw very soon. Search terms like "Party Dress" etc Try it. How you Break Heart of a Pro-Blogger!